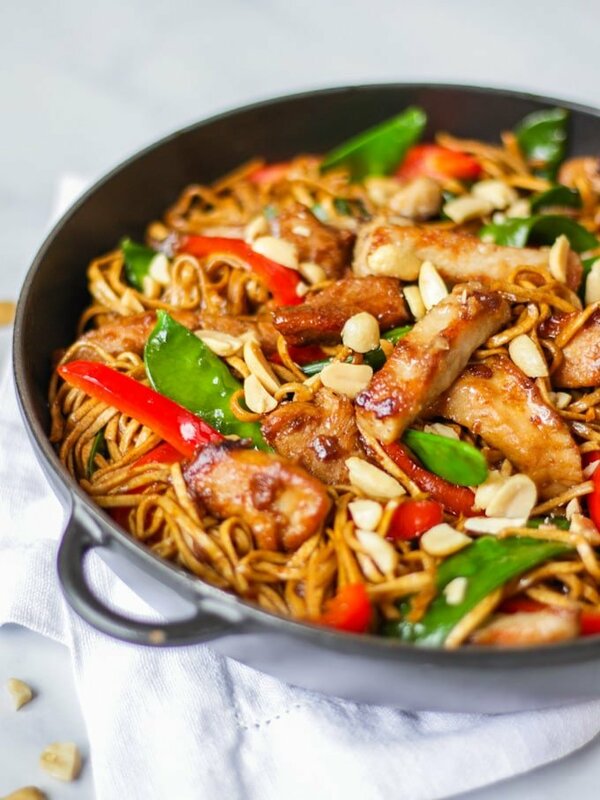 This easy to make Pork Stir Fry recipe is so quick and simple. Using lean pork medallions to keep it healthy, added peppers, mangetout (or Snowpeas) and a delicious sticky sauce. The post is sponsored by Love Pork. Thanks as always for supporting the blog. I absolutely LOVE pork, it makes me think of autumn weekend meals, (like my Instant Pot Pulled Pork) and I’m always wittering on on my Instagram stories on Sundays about my love of roast pork. BUT I realised recently that I hardly ever cook pork during the week or during other times of the year. It dawned on me, that I wasn’t even quite sure how to, as every cut of pork I use is cooked slowly. I was invited by the people at Love Pork to have a lesson with the lovely Dumpling Sisters to learn how to make a super fast and simple Pork Stir Fry recipe. 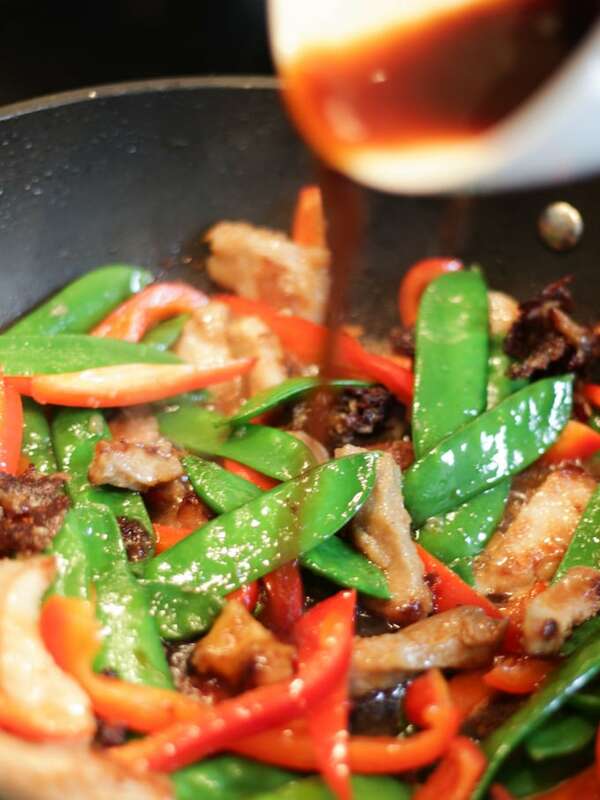 It was SUCH a fun afternoon, you can watch the video of my lesson and how to make this Pork Stir Fry recipe below. How do you marinate pork for pork stir fry? It’s surprisingly easy to marinate (or marinade!) pork strips for a Pork Stir Fry. 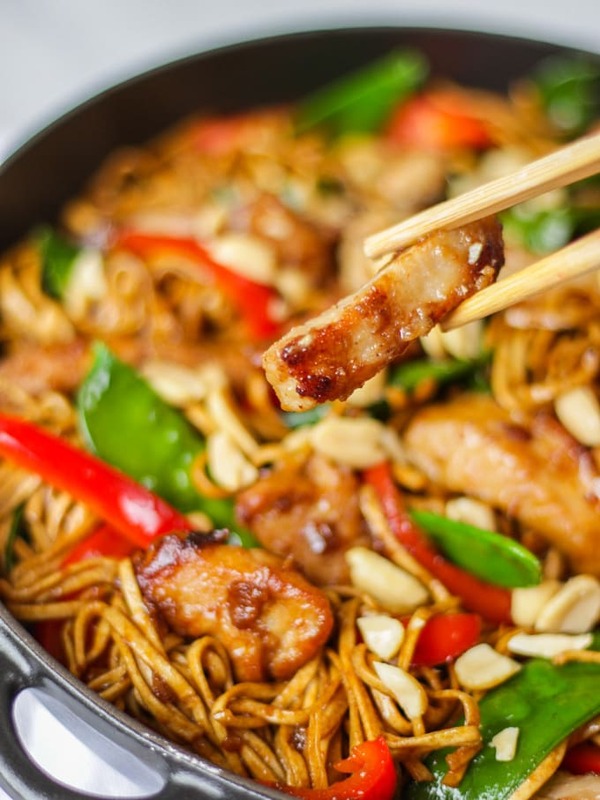 This recipe uses a delicious combination of soy sauce and white pepper for flavour and warmth, plus cornflour to add a coating to the meat and bicarbonate of soda to tenderise the meat. I learned from the Dumpling Sisters, that the meat only needs to be in the marinade for a short period of time for it to make a difference. Perfect for quick midweek meals. 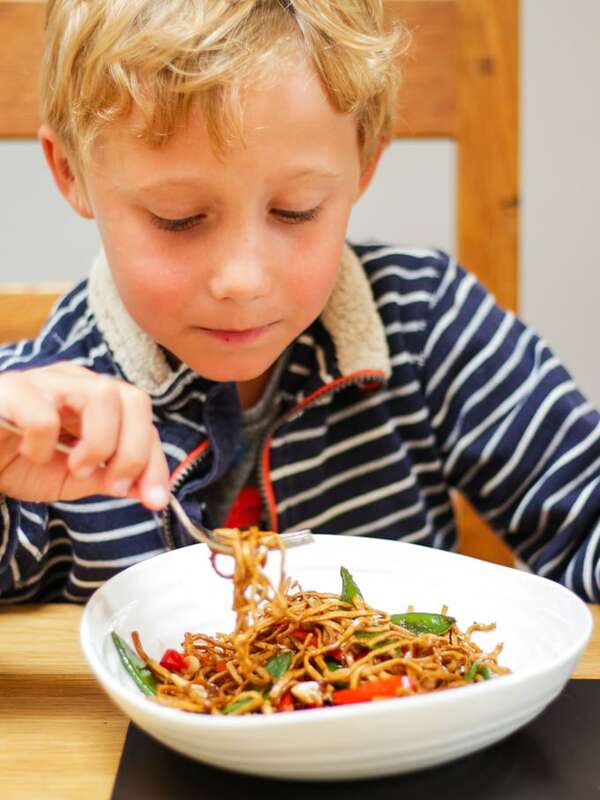 Pork Stir Fry is so easy to make using strips of pork medallions as they cook so quickly. 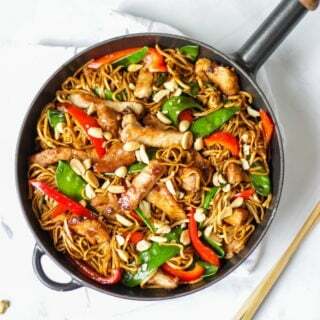 Just flash fry your pork meat strips, add vegetables and your sauce plus cooked noodles and you are good to go. 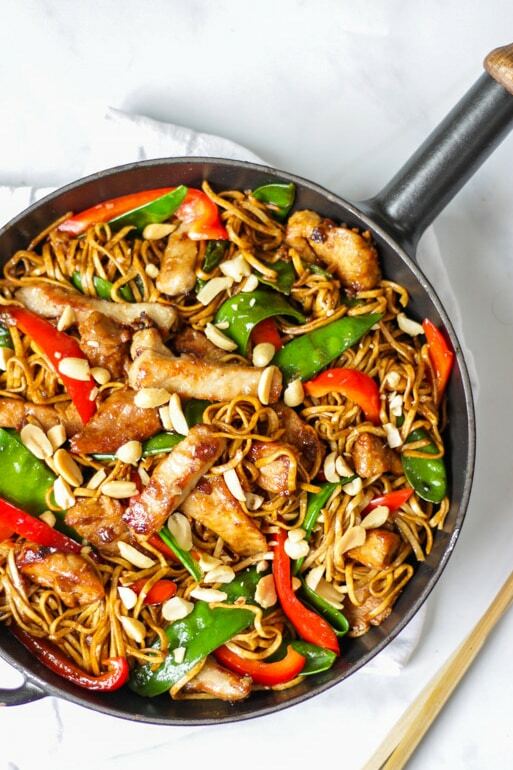 How do you make pork stir fry with noodles? Then add them to your cooked pork, vegetables and sauce to warm through and let them soak up the sauce. 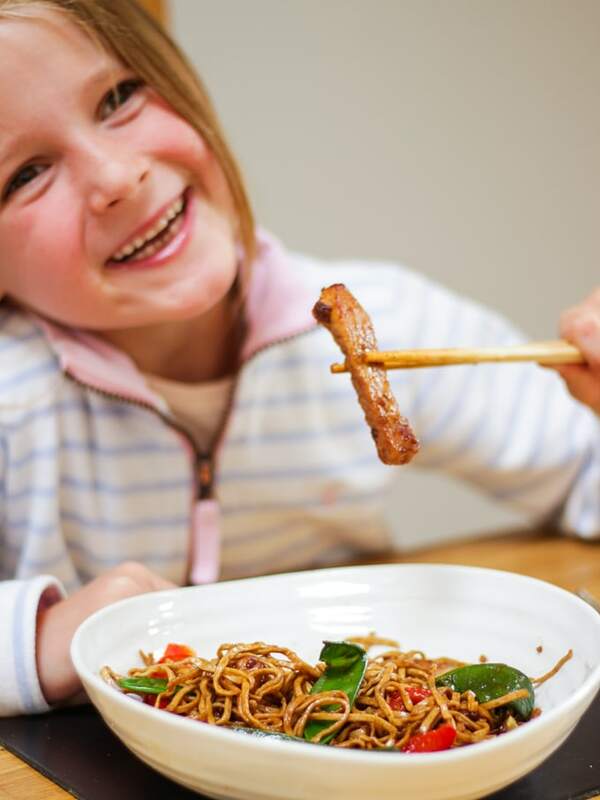 What kind of pork do you use for pork stir fry? 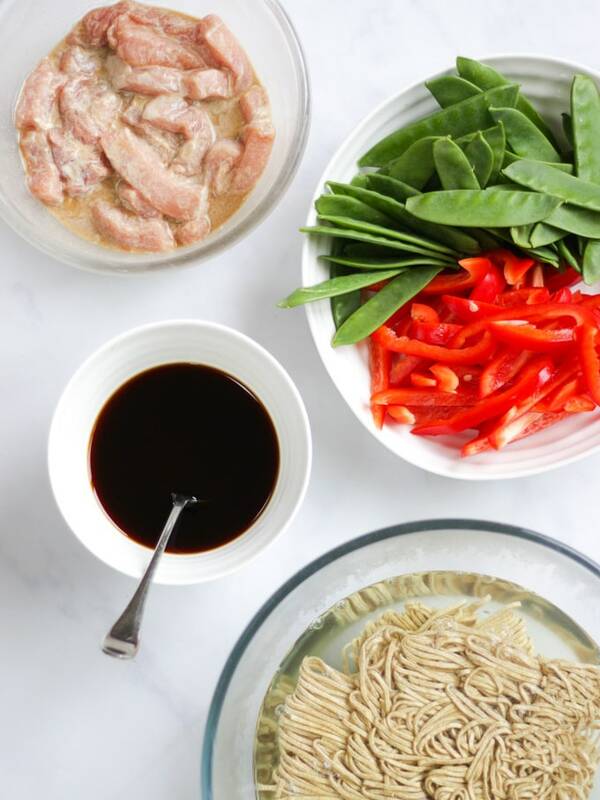 Pork medallions are perfect for Pork Stir Fry as they are super quick to cook when cut into thin strips. They are also really lean and tender. 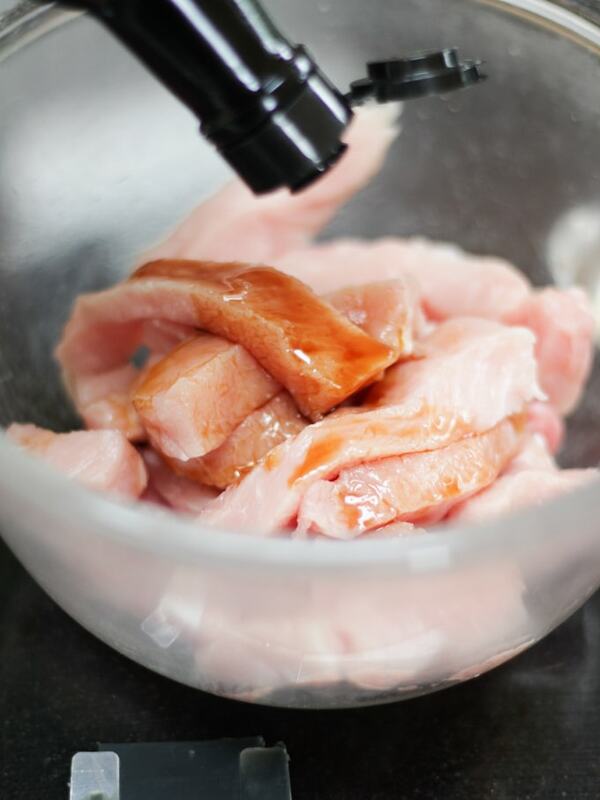 You can find pork medallions in all supermarkets or your local butcher. They work best in Pork Stir Fry when cut into thin 1cm x 1cm strips. You can read more about pork medallions here on the Love Pork website. I also really like pork mince in stir fry recipes, cook it until it’s crispy and browned all over before adding your vegetables. Be sure not to over cook your pork. Pork medallions cook really quickly. Even if you only have a spare 10 minutes, don’t skip the marinade step! It really makes a difference. Make sure your oil in your pan is super hot before you start cooking. Don’t move the pork around too much when you first add it to the pan. Allow it to form a crispy coating. Fancy some other pork recipes? How about my Slow Cooked Greek Style Pork or my Marmalade Sticky Sausages One Pan Traybake? You can also find heaps more advice and inspiration on cooking pork at Love Pork. Hope you enjoy this recipe as much as we do. 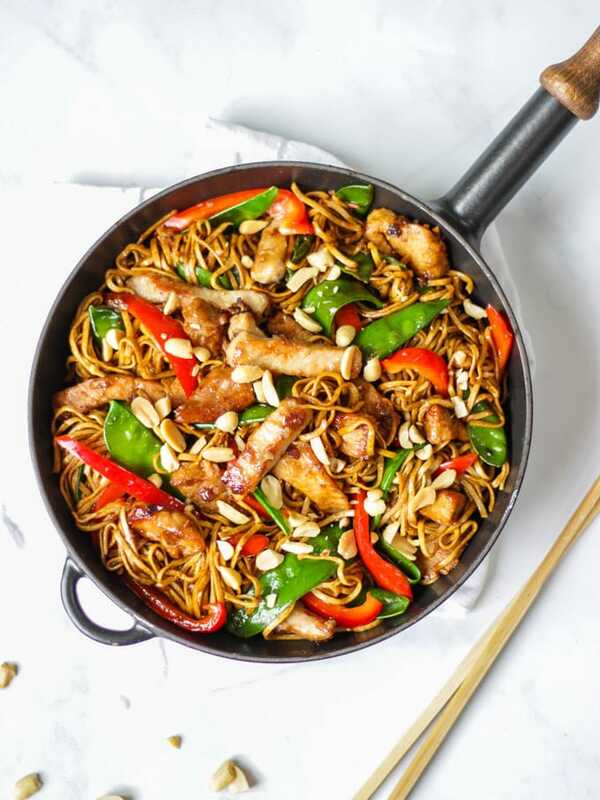 I’d love to know how you got on and what you thought of it if you make this Pork Stir Fry recipe. Please rate the recipe and leave me a comment below if you do. Mix the pork strips with the marinade ingredients. Mix well and set aside. 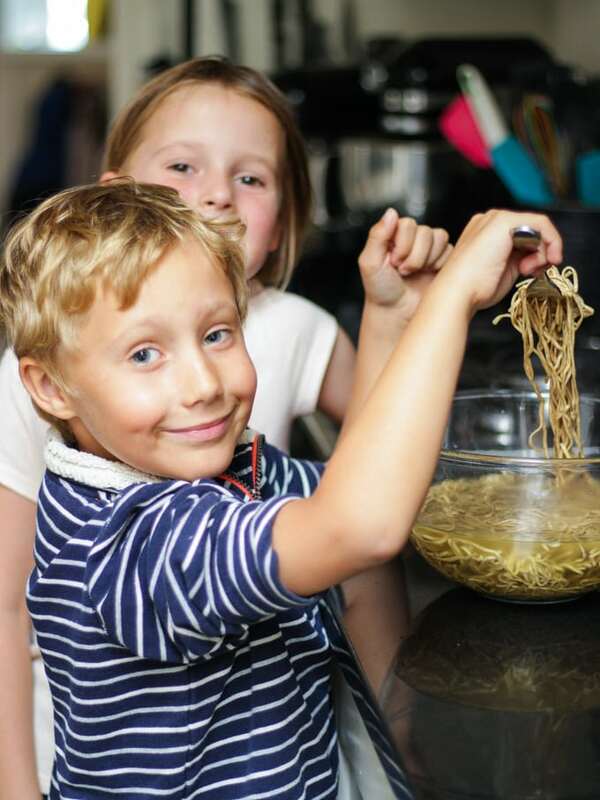 Soak the noodles in boiling water, until just al dente then drain, rinse in cold water and set aside. Put your oil in a wok over a hot heat. When the oil is very hot, add the garlic and ginger, stir for a minute or two and then add the marinaded pork. Cook the pork for 5 - 10 minutes until it's crispy and golden all over. Don't move it around too much as you want it to form a crispy, crunchy coating. Add the mangetout and peppers, stir to mix. Pour in the sauce and coat everything well. Cook it for about 5 minutes until it all thickens. Add the noodles, coat everything well and warm through. Serve sprinkled with the peanuts. Thanks Sarah! This looks yummy. I sure will try it out with my children, i believe they will love it too. Thanks for sharing the recipe.